Very popular gelato place around the corner from the Pantheon. 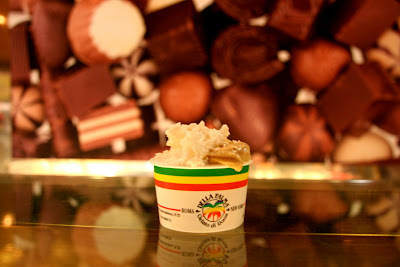 The gelato is richer and creamier than San Crispino, and there is a lot more selection, including Kit Kat gelato and Smarties gelato. We had coconut and tiramisu gelato. I still prefer San Crispino, which was lighter.